What's cuter than a bunch of puppies? A bunch of puppies making people smile. 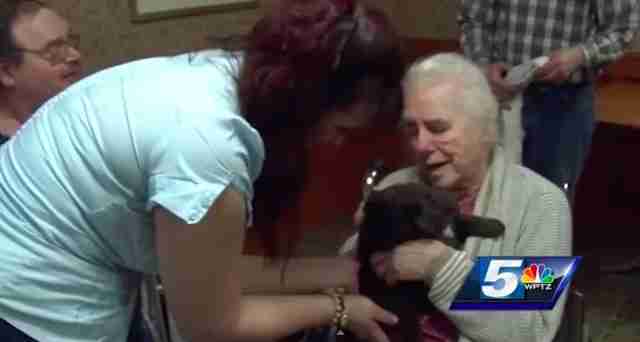 As part of training for its service dogs, North Country Canine Services brought a crew of 3-week-old Newfoundland puppies to visit the residents and staff of Meadowbrook Healthcare Center in Plattsburgh, N.Y., reported local news outlet WPTZ5. The pups went from door to door, curling up on laps and spreading cheer. North Country Canine Services trainer Vincent Martin told WPTZ that exposing the puppies to lots of new smells and people is part of their service dog training. It's just an awesome bonus that their visit makes people so happy. 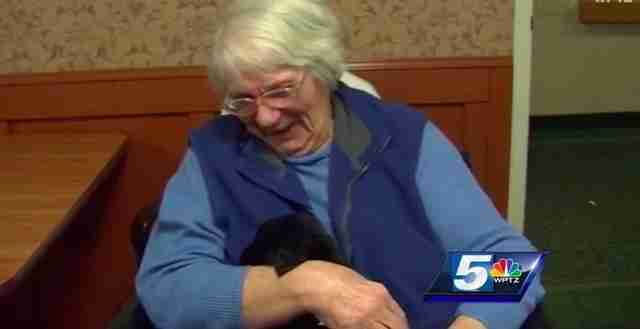 North Country Animal Services trains dogs to perform lifesaving jobs. Some of these puppies may go on to be search and rescue dogs, for example, or to warn owners with epilepsy that a seizure is coming on. Planned and supervised socialization when the puppies are young is important in preparing a service dog for his work, but these visits begin only once the puppy has gotten all the right vaccinations. These little guys have a lot more training to go through before they'll be able to wear their service vests. 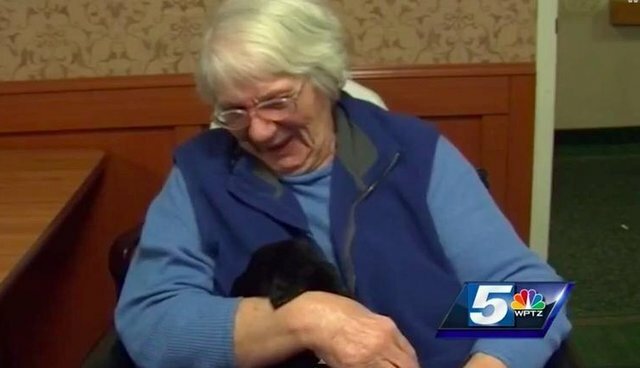 Holding the tiny pups inspired some of the residents to reminisce about pets they'd loved, and Meadowbrook resident Ruth Fitzpatrick even jokes, "Can we keep him?"